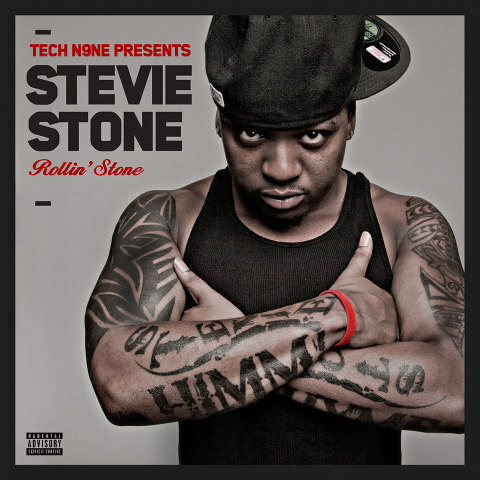 The wait is over and Tech N9ne Presents Stevie Stone – Rollin’ Stone is finally here! Featuring the smash hit “808 Bendin” featuring one of Tech N9ne’s most schizophrenic verses to date, Rollin’ Stone promises to be the trunk-rattling album you’ve been waiting for to keep you going through the summer. With guest appearances from Hopsin, Yelawolf, Kutt Calhoun, Krizz Kaliko, and hits such as “My Remedy” “Get Buck” and “Oneness”, Rollin’ Stone is a rare record that will never leave your rotation.